"As part of its launching activities (...) all Air Europa passengers flying to Havana, Buenos Aires and Sao Paulo will enjoy Free Wi-Fi during the flight", Panasonic announced. Progressively, the airline belonging to Globalia Group, will install Wi-Fi via satellite on all its Airbus aircraft that operate long distance routes, the new Boeing 787 arriving this month will also have this service. Additionally the 787 aircraft will come with the system eX3 IFE to offer the passenger a unique inflight entertainment experience. The aircraft that offer Wi-Fi on-board are two Airbus A330-200 and one A330-300, it is estimated that from the month of July the entire long haul fleet with have Wi-Fi service on board. The Wi-Fi service will be activated, above 10.000 meters, when the seat belt light is switched off, therefore it is not available during take-off and landing. From then on, passengers wishing to connect must keep the airplane mode activated on the mobile device in order to connect to the Wi-Fi “Ontheair” and after opening a browser select that rate most suits their needs. 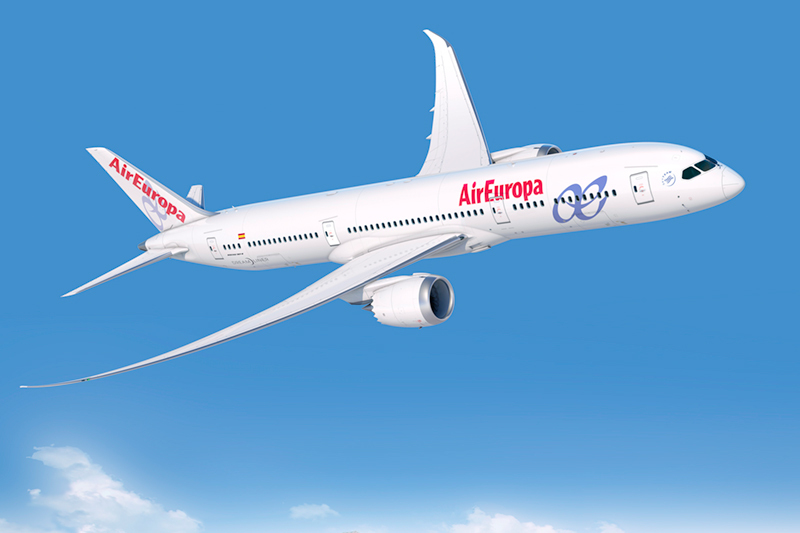 Air Europa has selected three rates to choose from 7€ for 15 Mb; a popular rate of 13€ for 30 Mb that permits a longer navigating time or a premium rate of 20€ which permits 50 Mb to navigate.